Sorry that I am really bad at updating my blog. 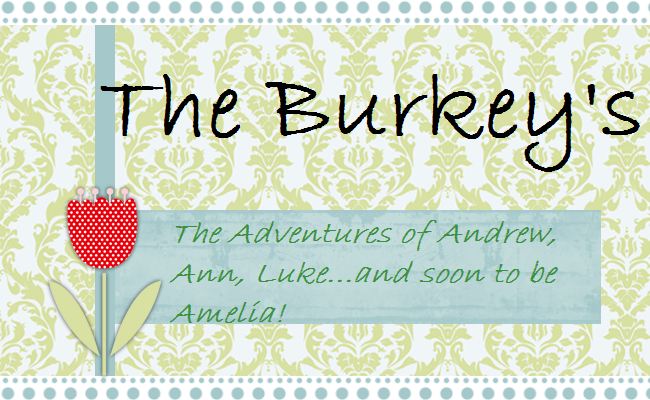 Nothing really happens in the Burkey household...at least that people would want to read about. Currently the house is decorated for my favorite holiday of the year, CHRISTMAS! My family will get together on Saturday and Sam and Shannon will drive in that day. Yeah! Last Thursday was the Holiday Program for my center. We had a little over 500 people show up and I was really nervous to speak. Apparently I sounded fine. We had about 150 kids perform, ranging from 2-6 years old. It was crazy. My doggies are good, but Charlie is a stinker. Charlie was take after Andrew and Bella must take after me! It Snowed bad on Sunday and I woke up early to shovel so we could make it to church on time. Then 5minutes before we walk out the door my mom calls and says, "you know we called church off." AHHH...na! I hate snow. That's it from me. I will take more pictures during the holidays so there is something to look at. Hey Burkeys - I'm a Burkey from London. I've never come across any other Burkeys here in the UK - are there lots in the U.S?